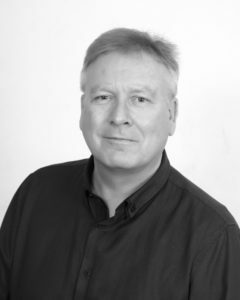 Paul Boughton is journalist with experience of daily, evening, weekly newspapers, national and international magazines (business and consumer) and internet and digital publishing at all levels of editorial responsibility. In September 2017 he launched Engineer News Network with the ambition to create a new and exciting online news and information resource for today’s engineers. Between 2013 and 2017 he was freelance web editor of EngineerLive.com and ScientistLive.com. From February 1999 to 2013 he was Group Publishing Editor, Setform Ltd, Europa House, 13-17 Ironmonger Row, London EC1V 3QG. Recruited to edit portfolio of six business-to-business magazines: European Design Engineer, European Process Engineer, European Electronics Engineer, European Chemical Engineer, Asia-Pacific Engineer and International Oil & Gas Engineer. Also launched and edited the following titles: European Production Engineer (1999); International Mining Engineer, European Laboratory Scientist (eLab), Asia-Pacific Electronics Engineer, Asia-Pacific Design Engineer, Asia-Pacific Process Engineer (2000); European Food Scientist (eFood), Rail Industry International (2001); European Medical Scientist (eMed) (2003); European Healthcare Management (2004); International Power Engineer (2005); International Energy Solutions (2007); International Hydrographic & Seismic Search (2008); International Mining Engineer (2012). He was also editor websites EngineerLive.com and ScientistLive.com. Between December 1996-January 1999: Editor, Miller-Freeman (United News & Media), City Reach, 5 Greenwich Place, Millharbour, London E14 9NN. Recruited to launch. What’s New in Process & Control, a controlled circulation magazine for process and control industries. LinkedIn: Join the Engineer News Network Group by clicking HERE. Facebook: You can follow developments by LIKING the Engineer News Network Fan Page.